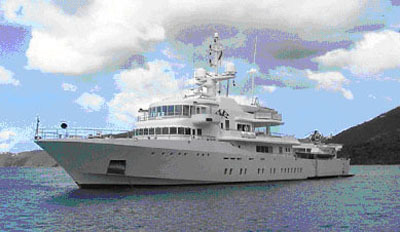 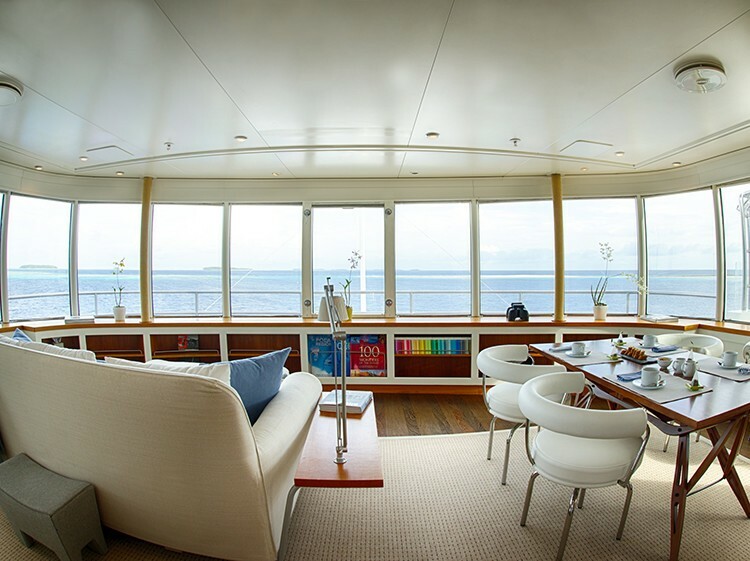 Luxury motor yacht ‘Senses’ is a unique yacht, built by Freres Schweers Shipyard, and one of the most remarkable conversion projects to date. 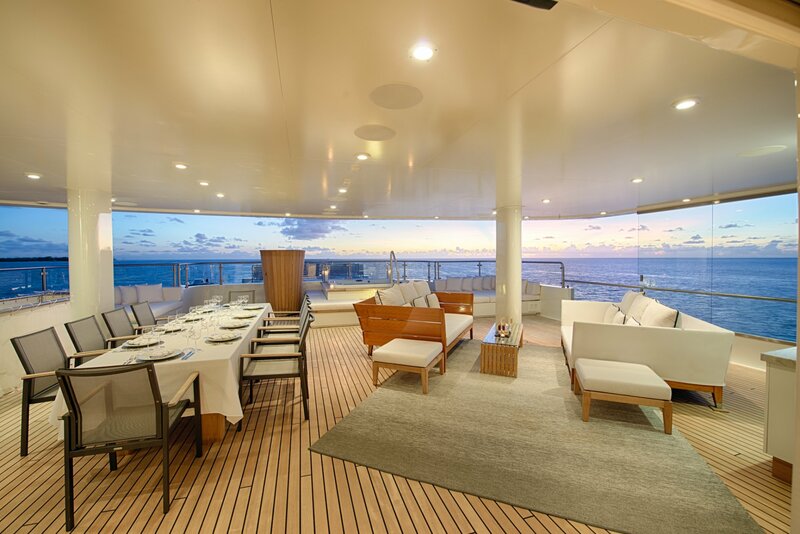 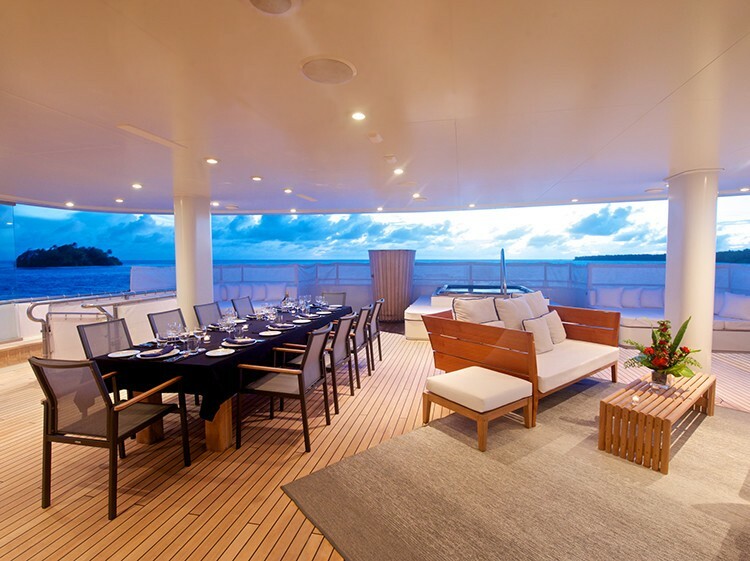 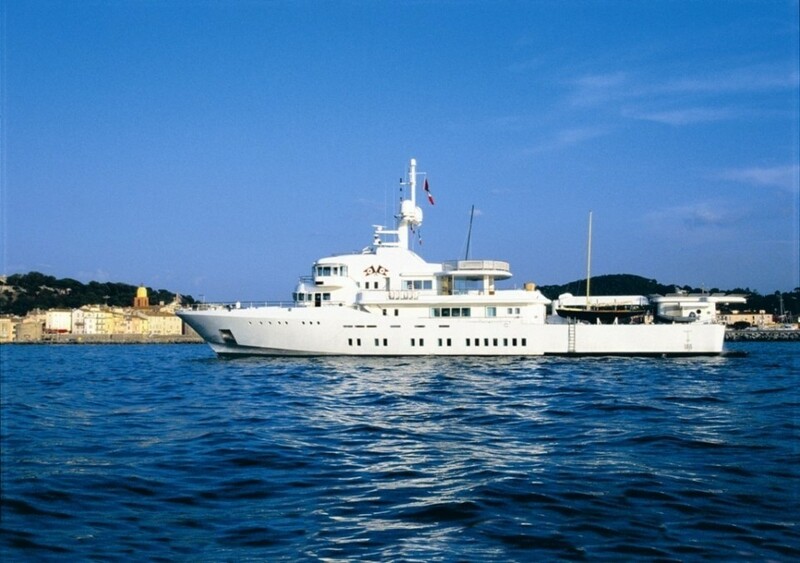 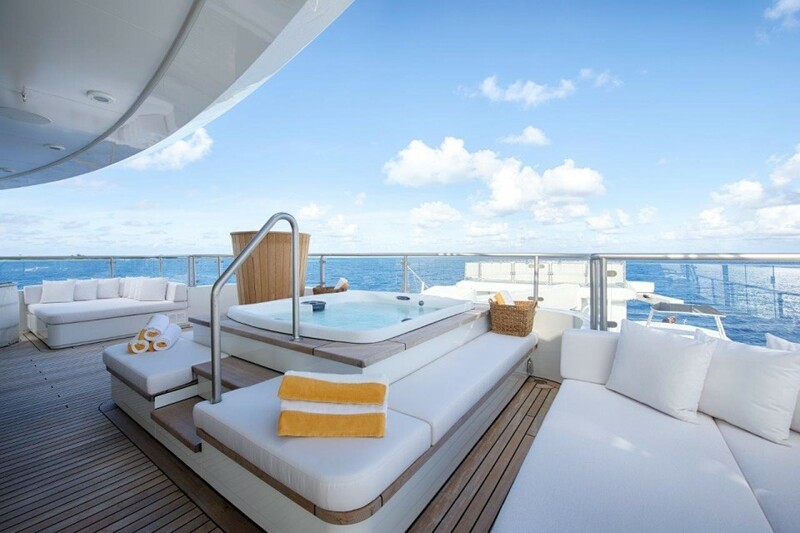 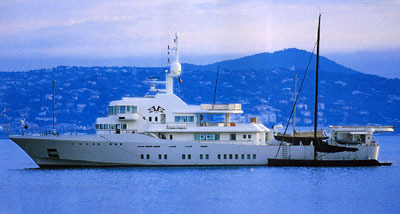 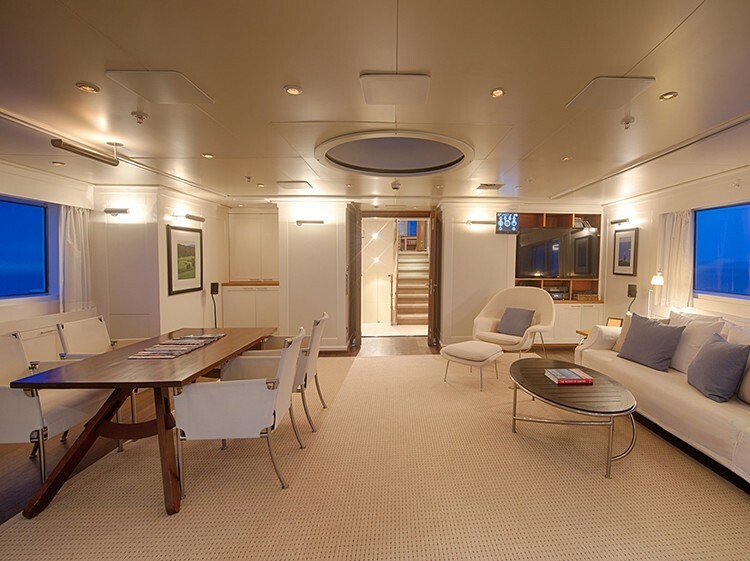 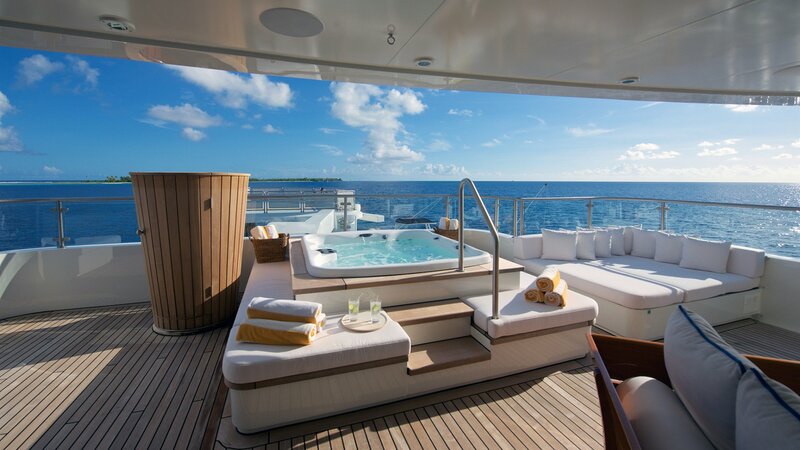 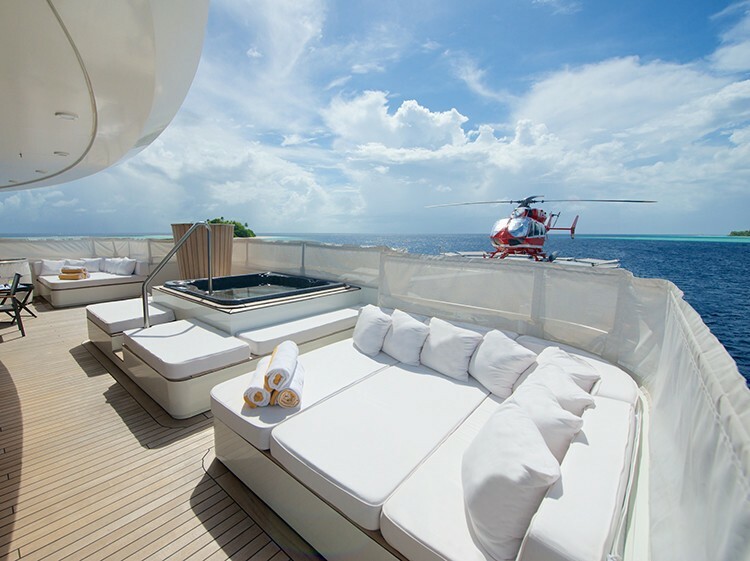 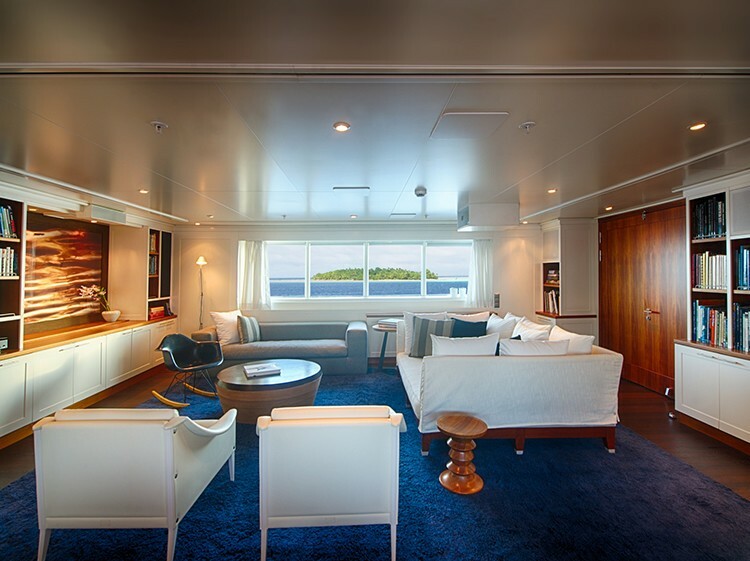 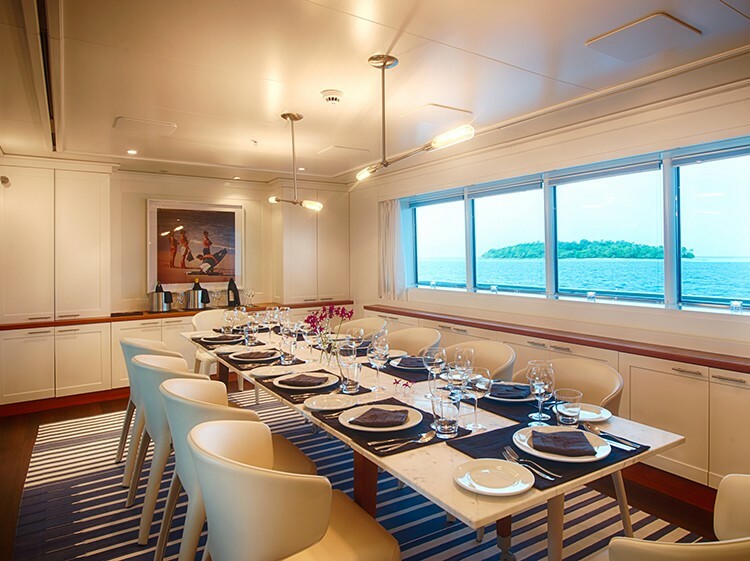 M/Y ‘Senses’ has a sturdy exterior which contrasts with her beautifully designed modern interior. 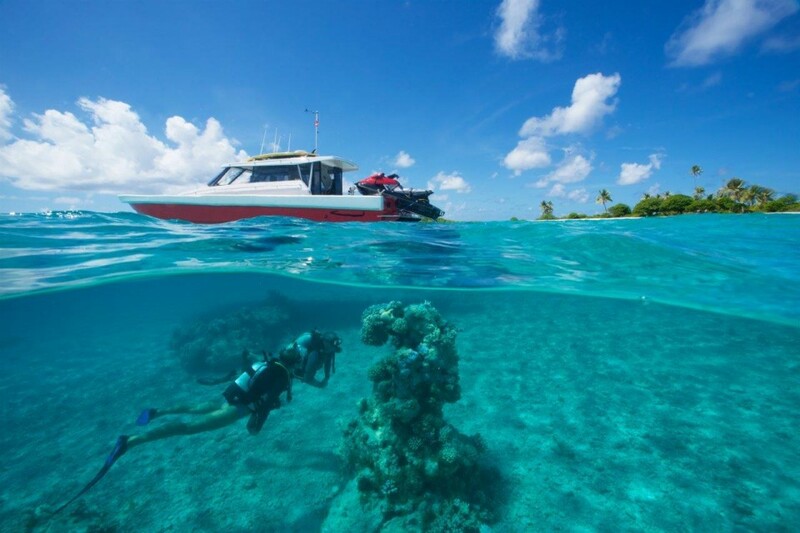 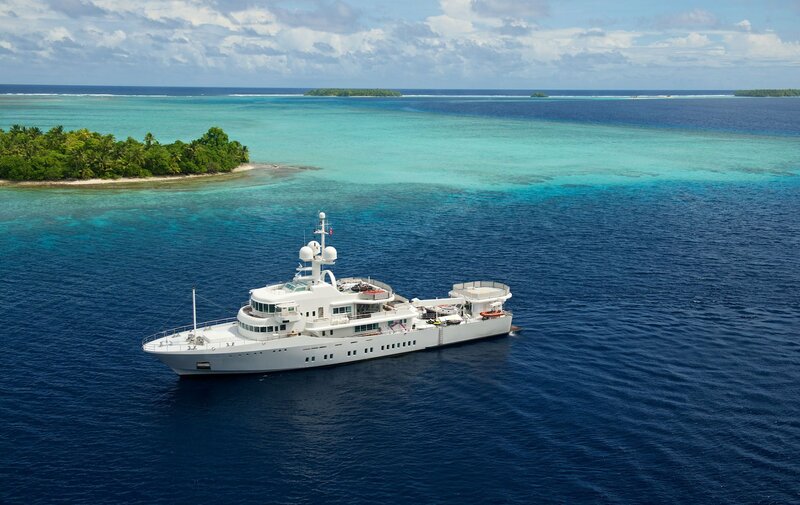 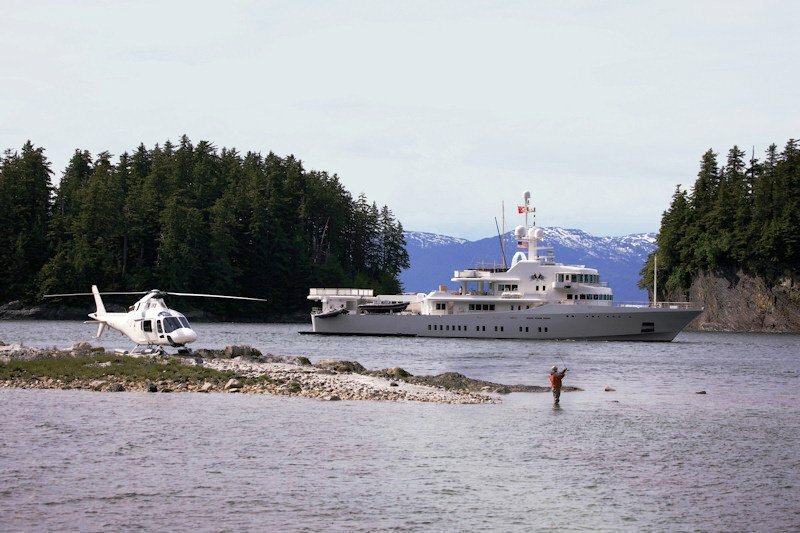 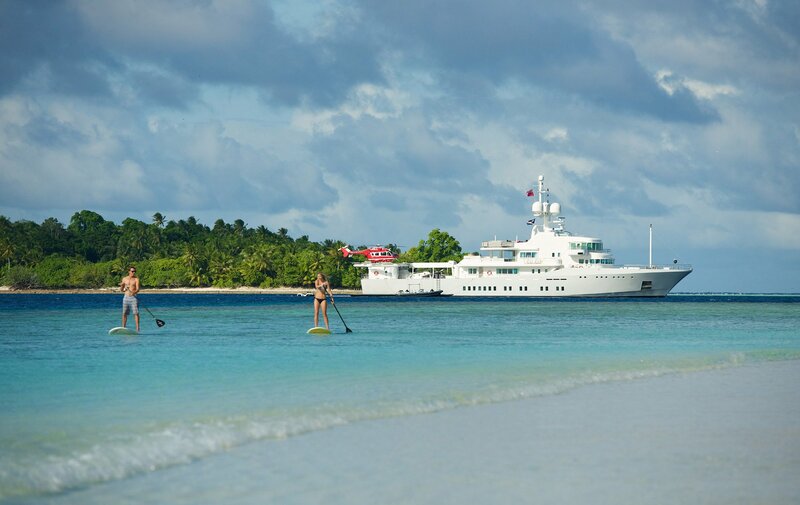 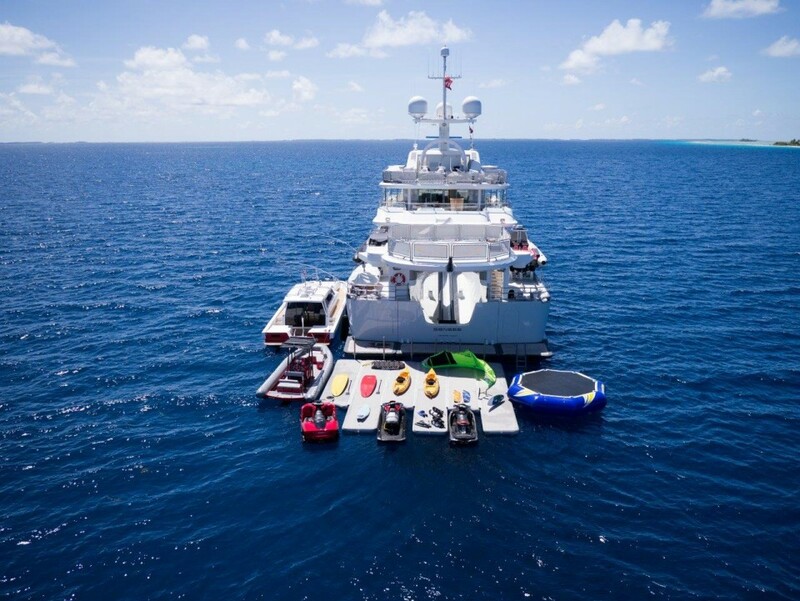 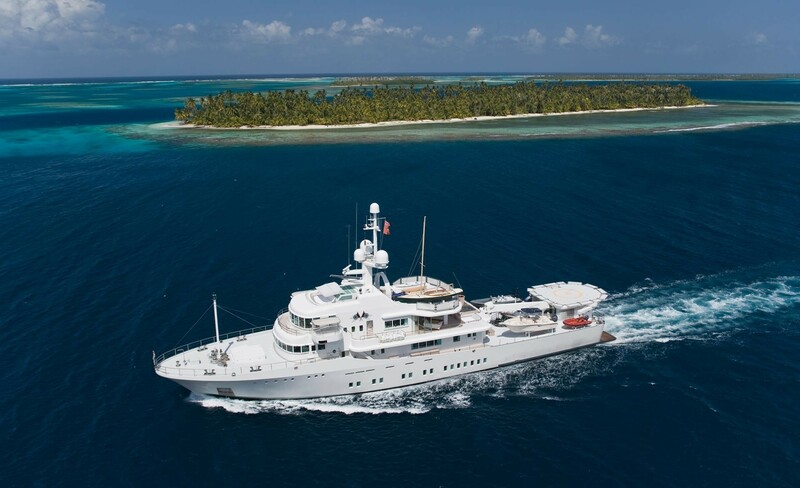 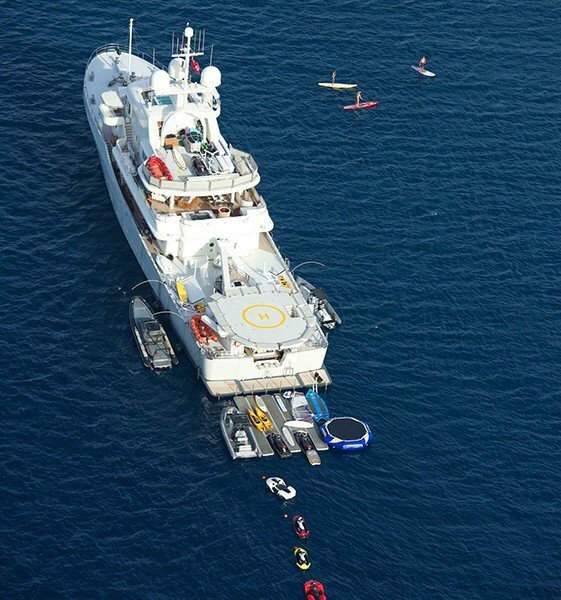 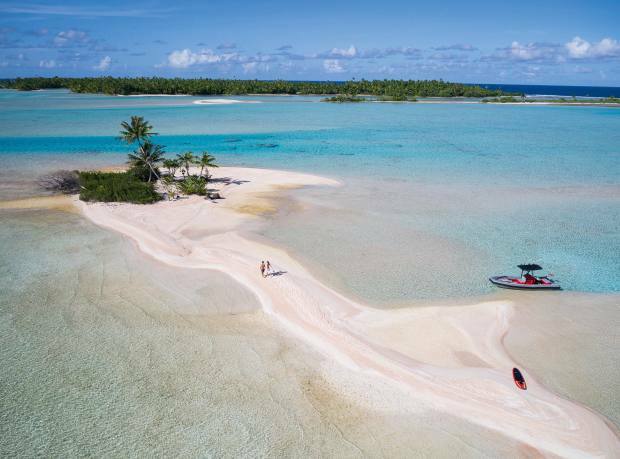 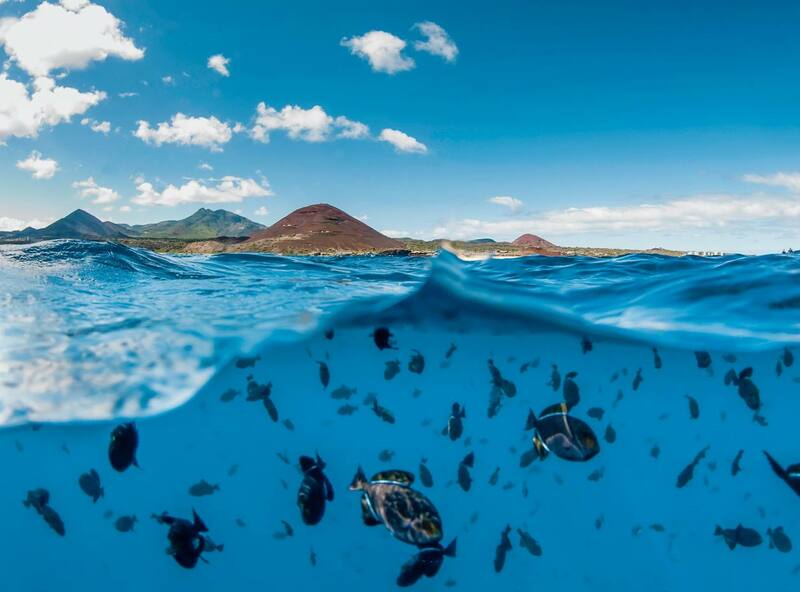 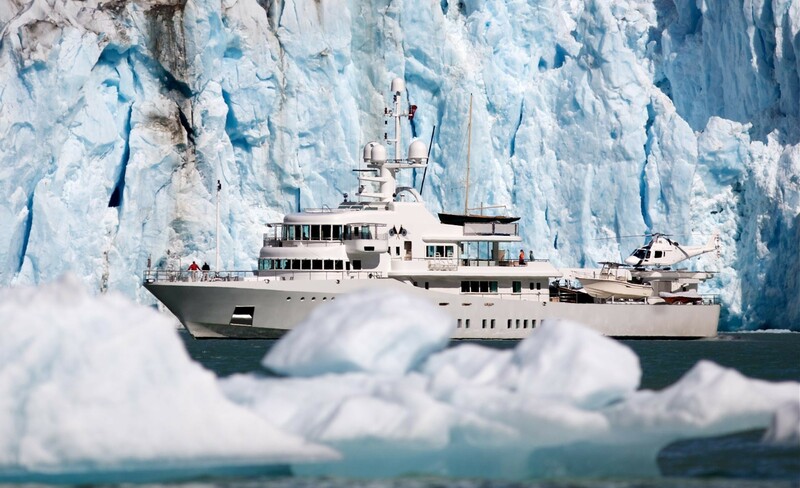 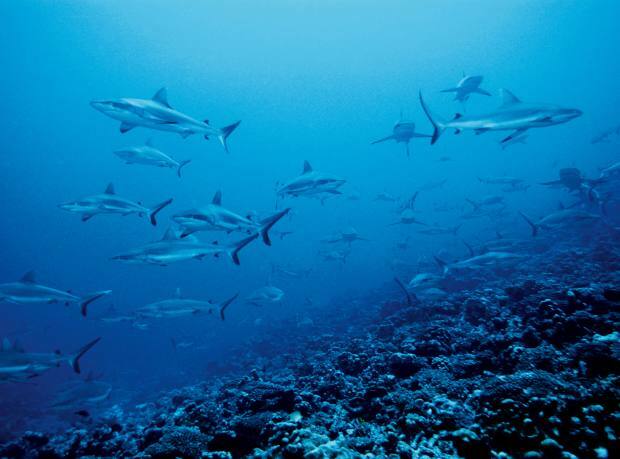 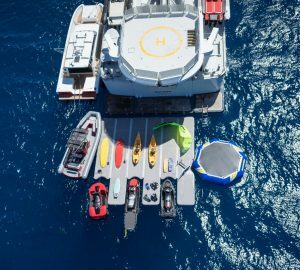 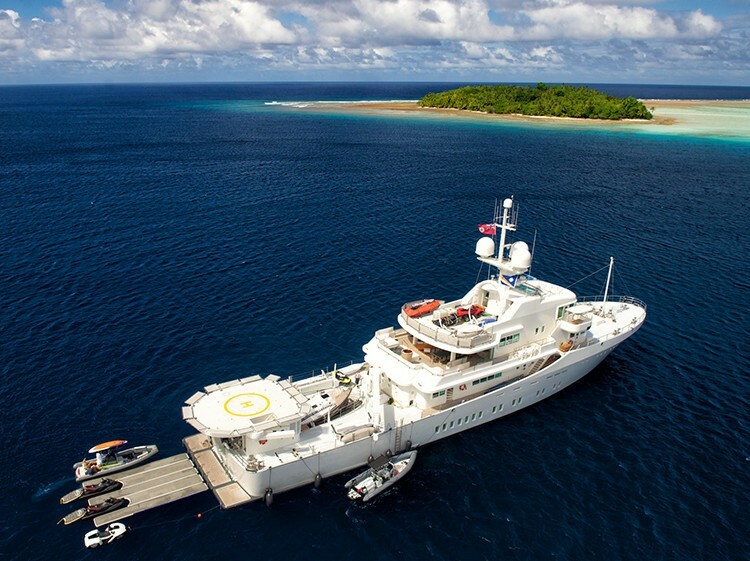 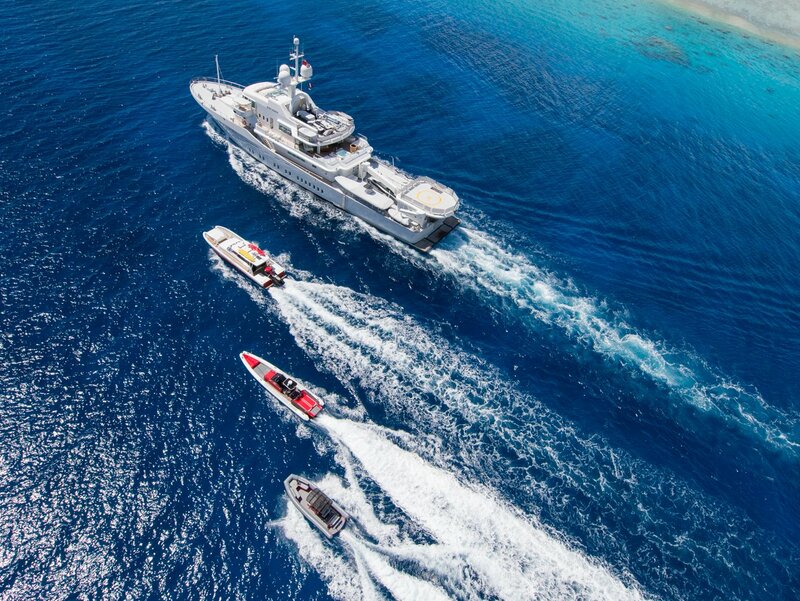 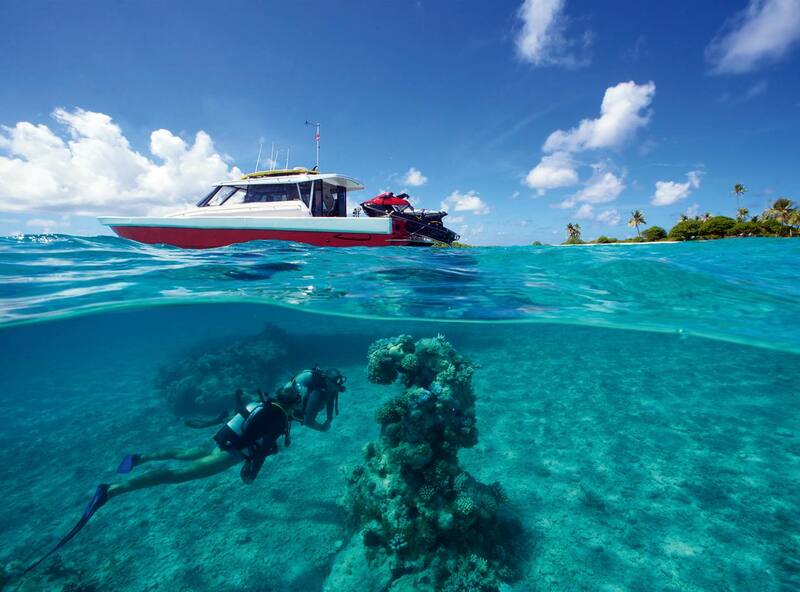 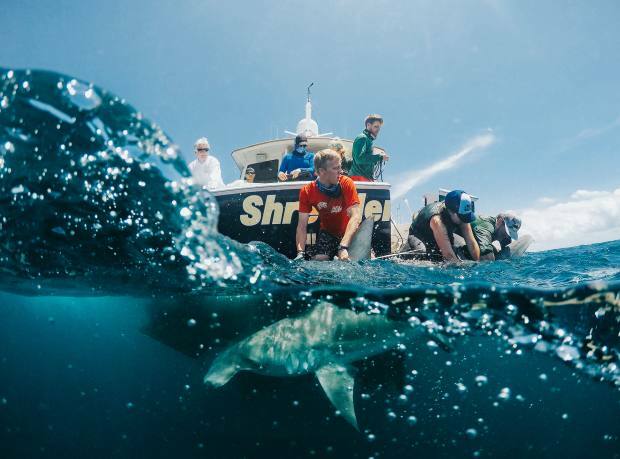 The superyacht was created to explore the world’s oceans in comfort and she carries a very comprehensive inventory of equipment for this purpose. 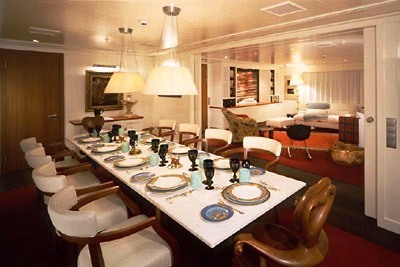 The interior Designer has created a unique and harmonious interior which combines fabulous woods with soft cream furnishings and some very unusual objects d’art from the owners’ collections. 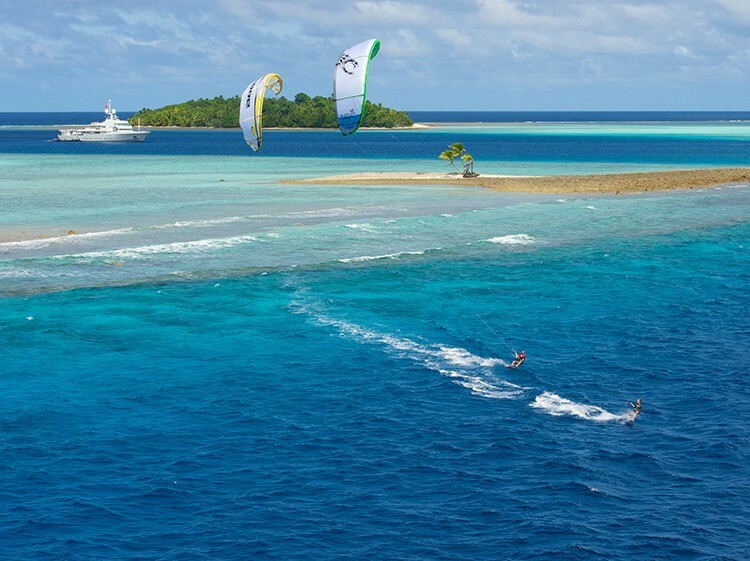 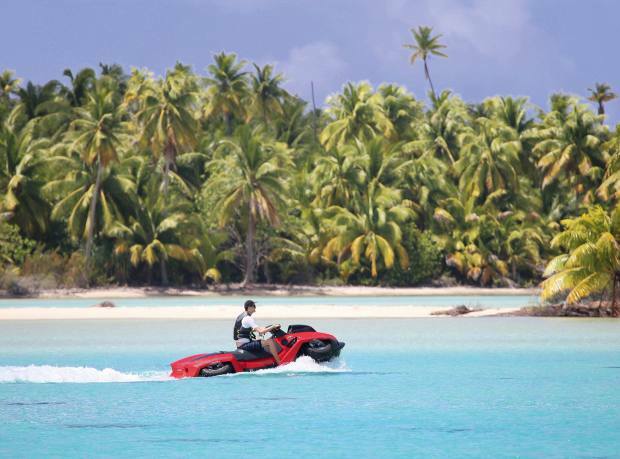 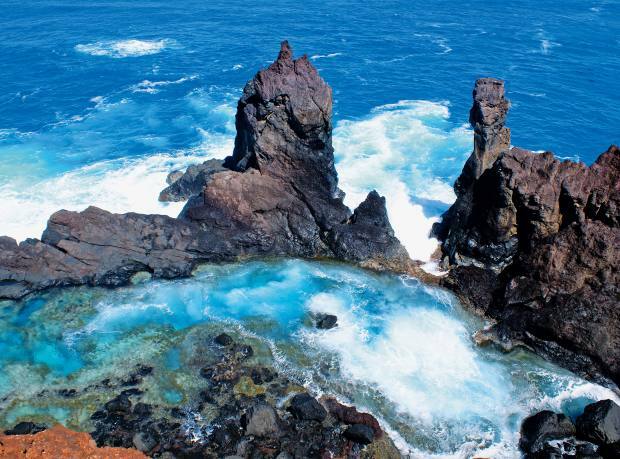 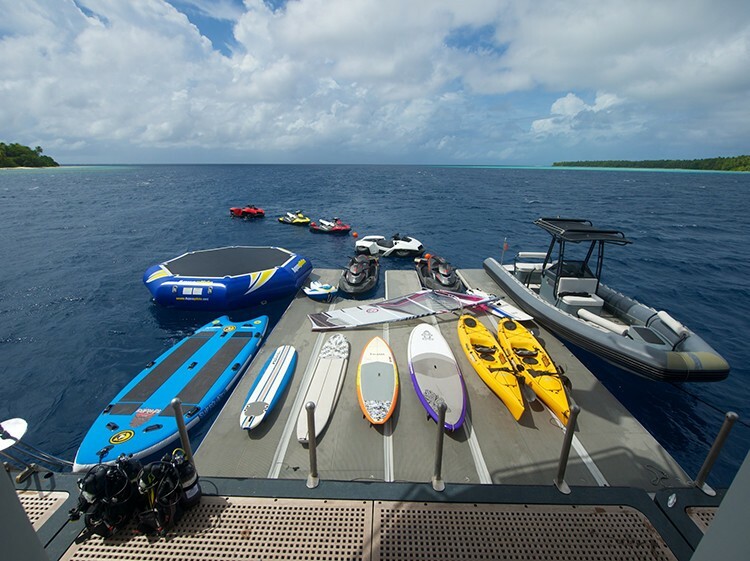 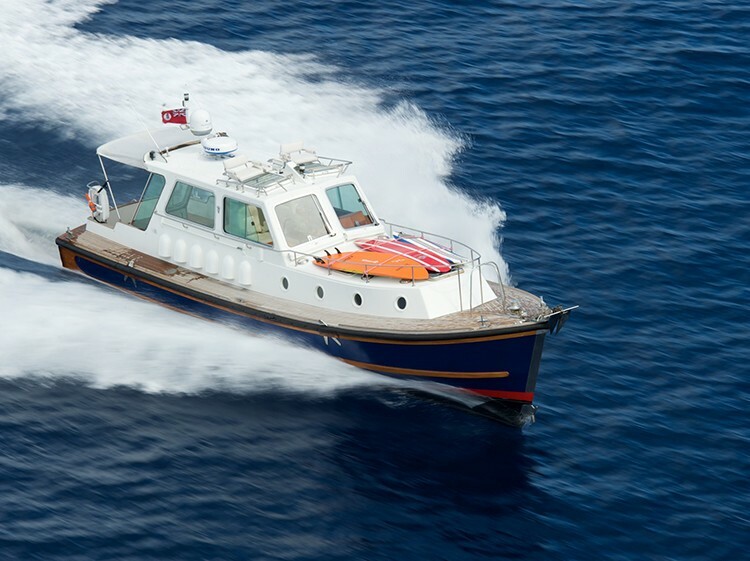 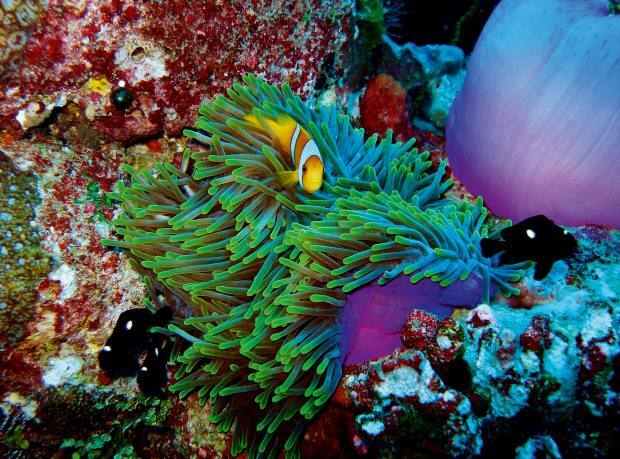 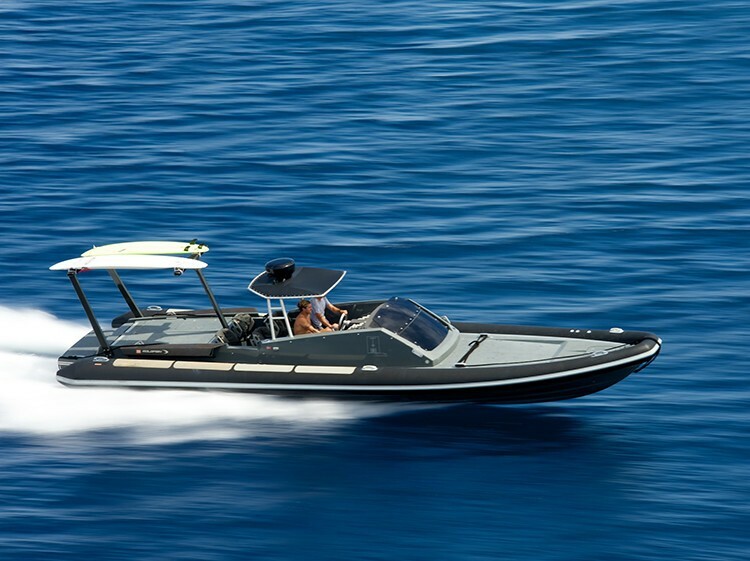 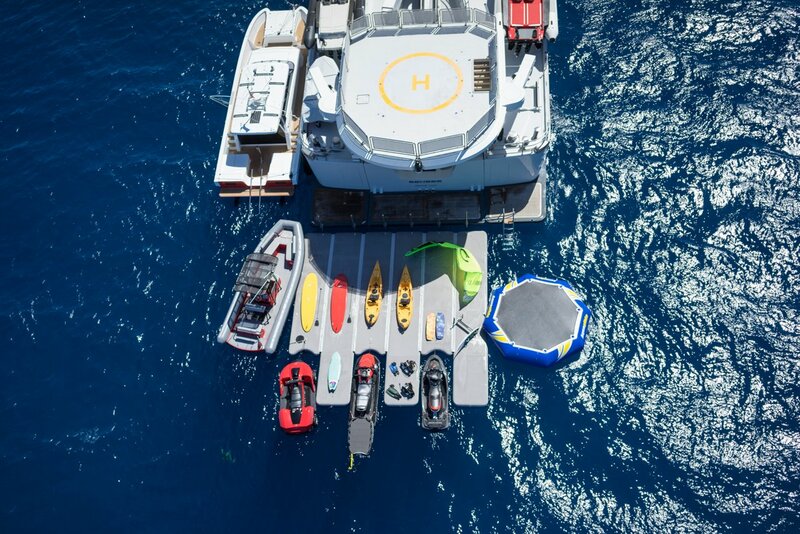 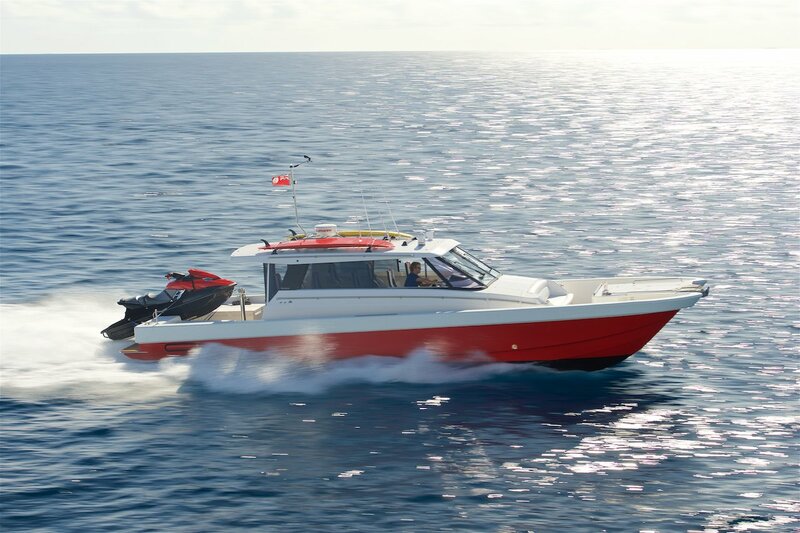 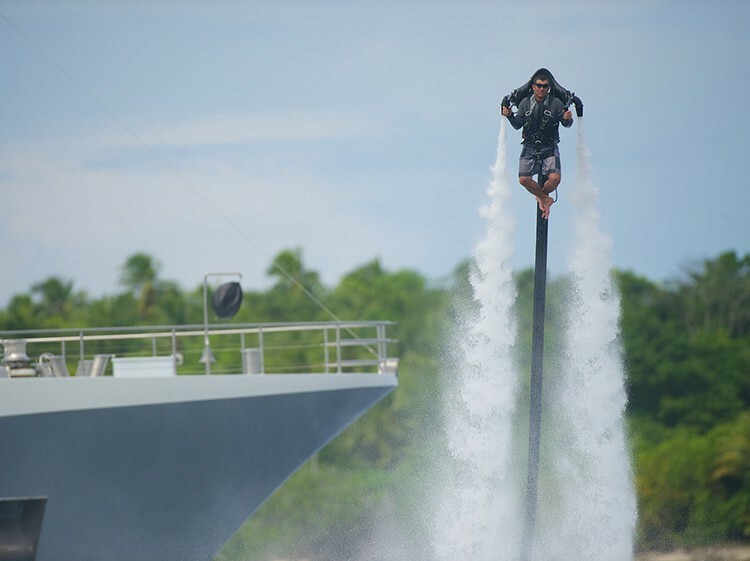 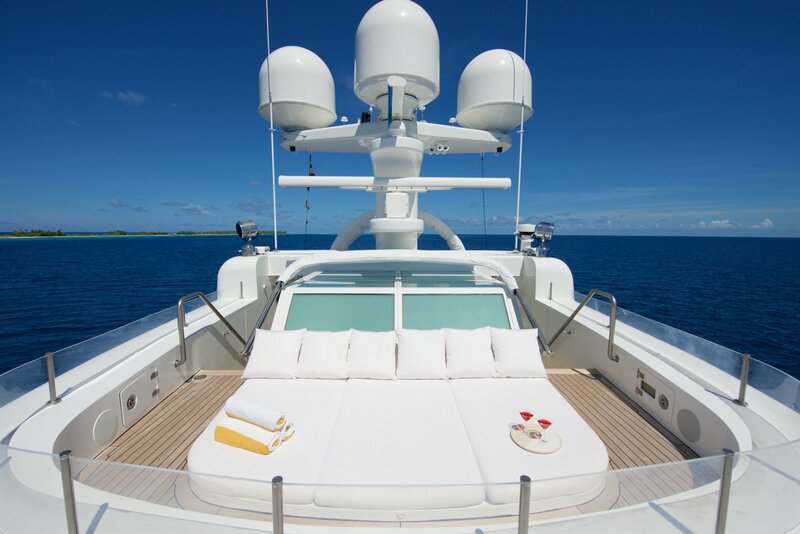 Senses watersports package is unrivaled with enough variety to occupy her owners on even the most extended voyages. 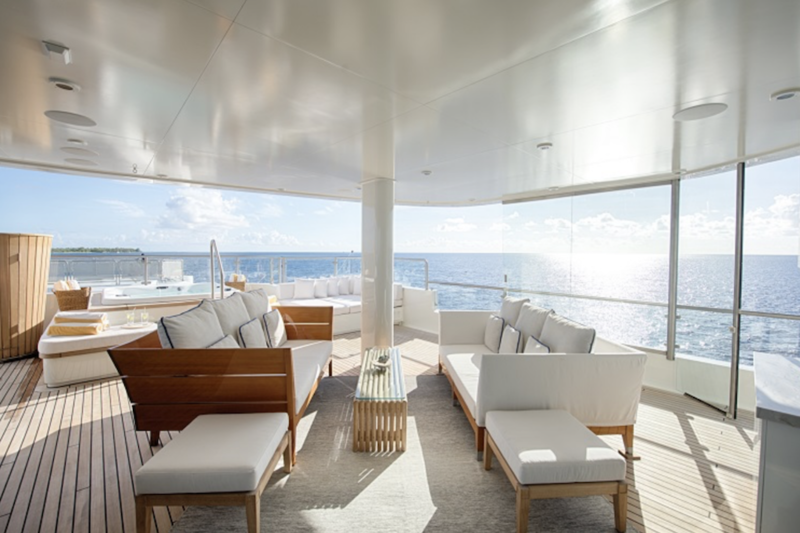 Split-level decks provide open and shaded sun lounging areas, secluded side pods, sheltered outdoor dining and informal seating areas, an airy and light gymnasium and a private beach club, complete with a Spa Pool pool and vast sun beds. 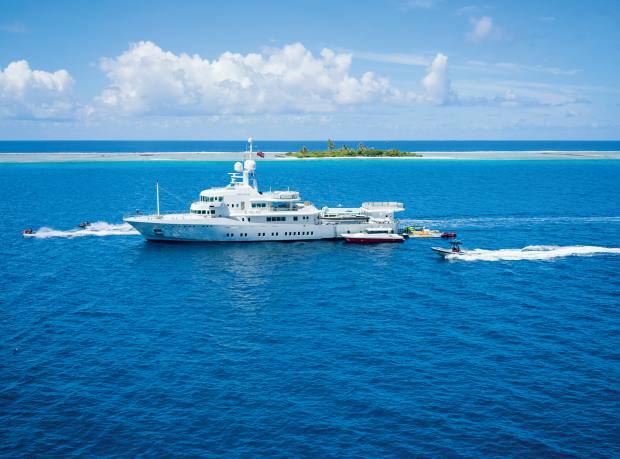 With an impressive volume provided by six decks and a beam of 12.7m, superyacht Senses can store three ship's tenders laterally, has full helicopter capability and a stern launched 42’ Nelson tender. 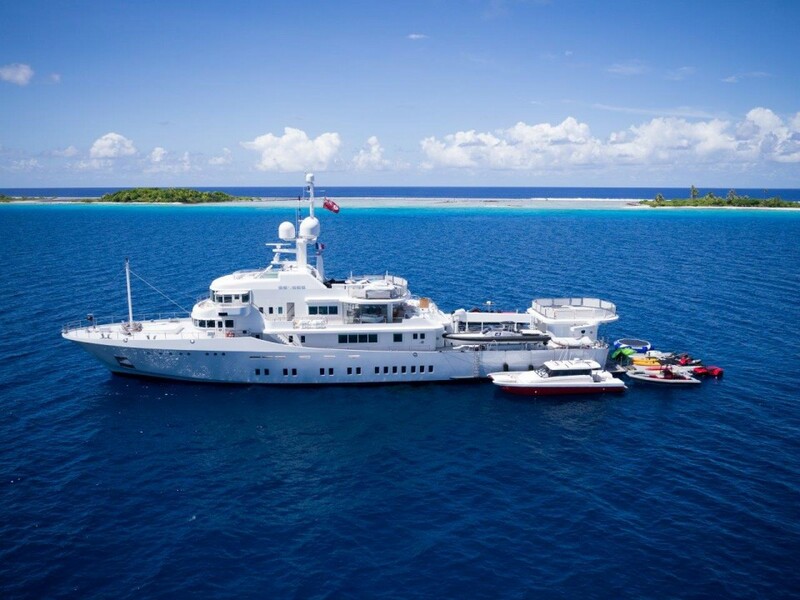 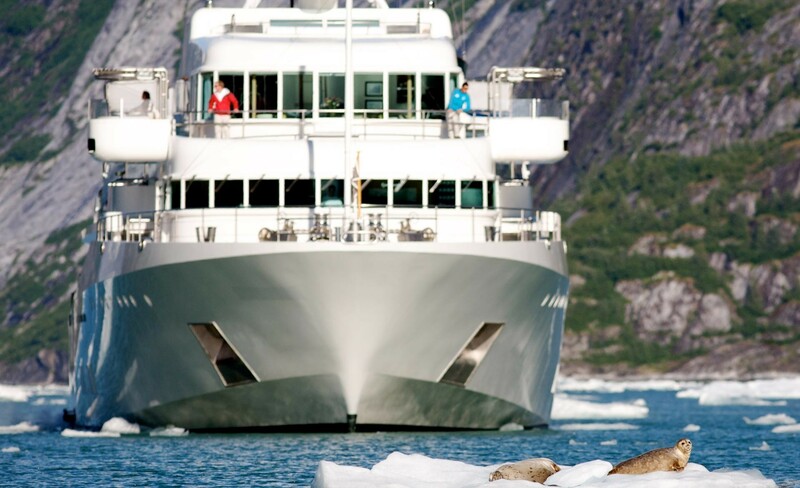 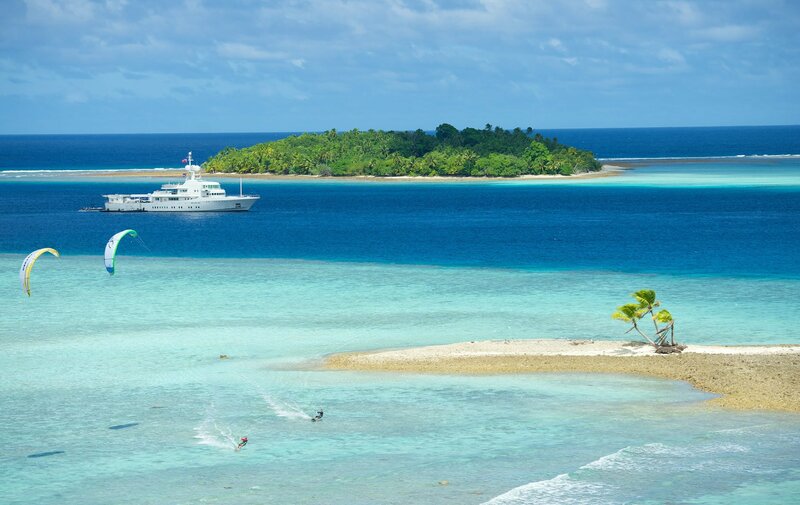 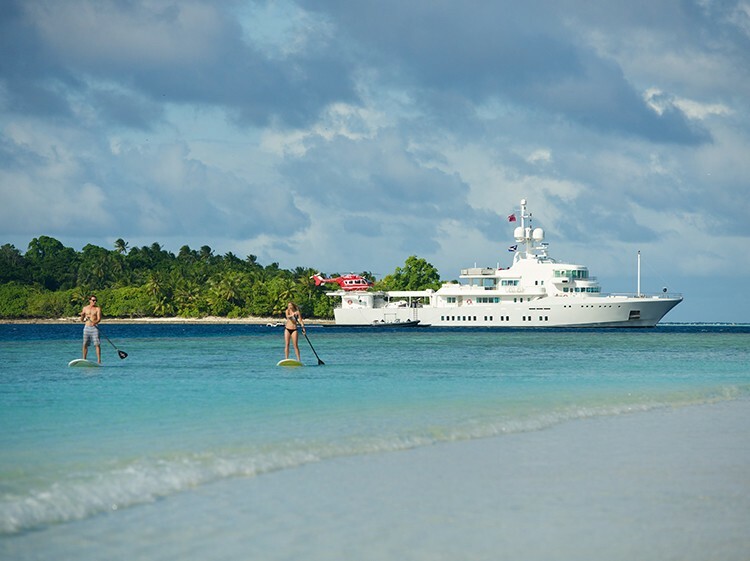 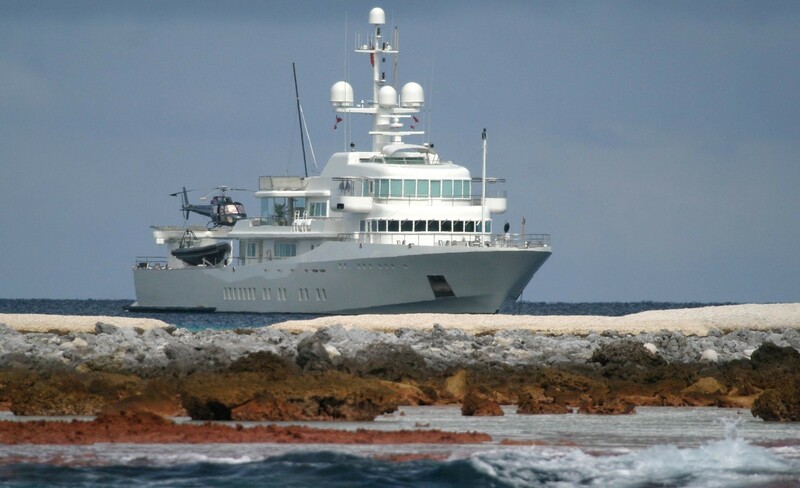 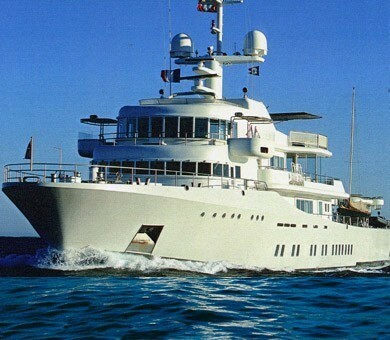 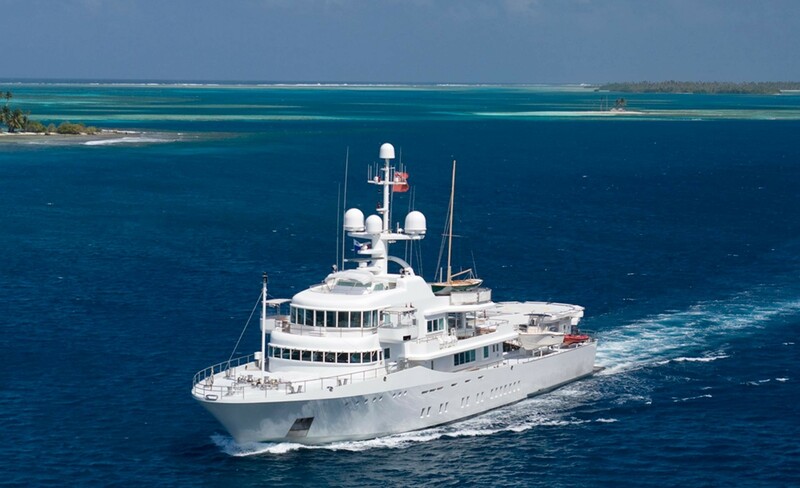 Excellent yacht design and an ongoing maintenance and refit program by her owners means this very well regarded luxury explorer superyacht which is kept in fantastic condition and ready for ongoing ocean adventures. 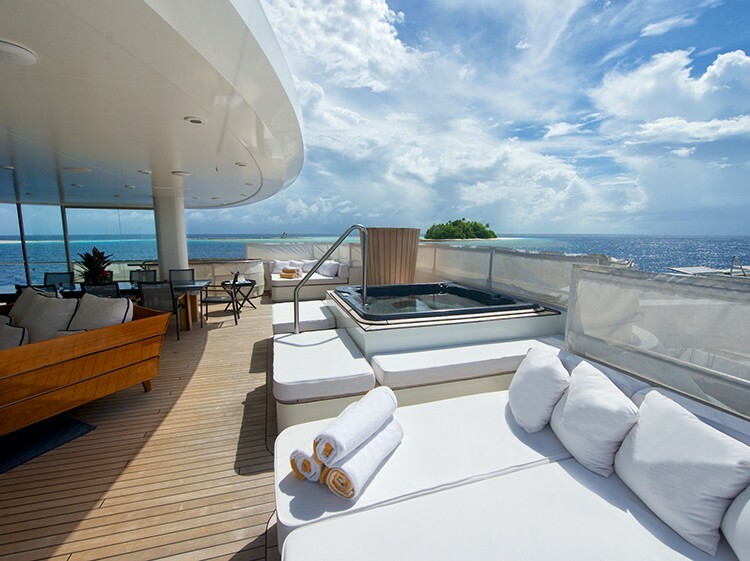 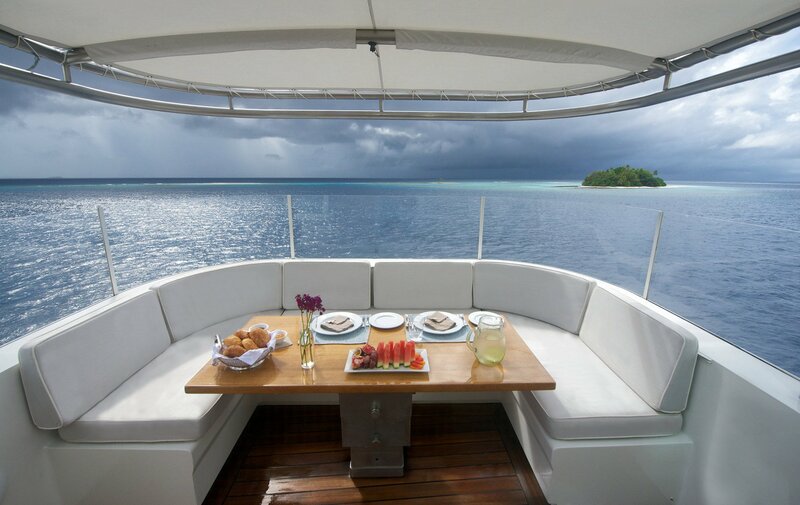 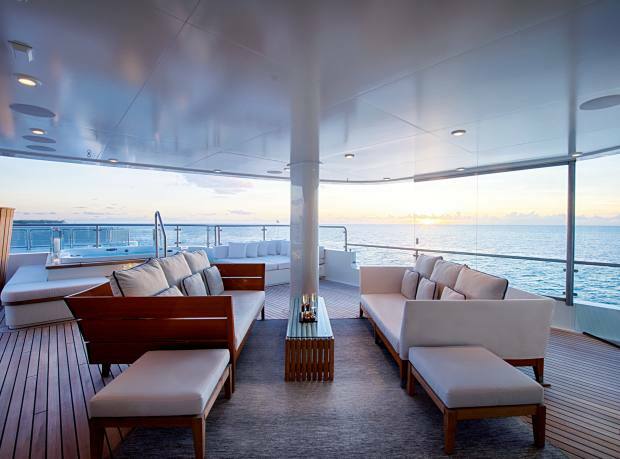 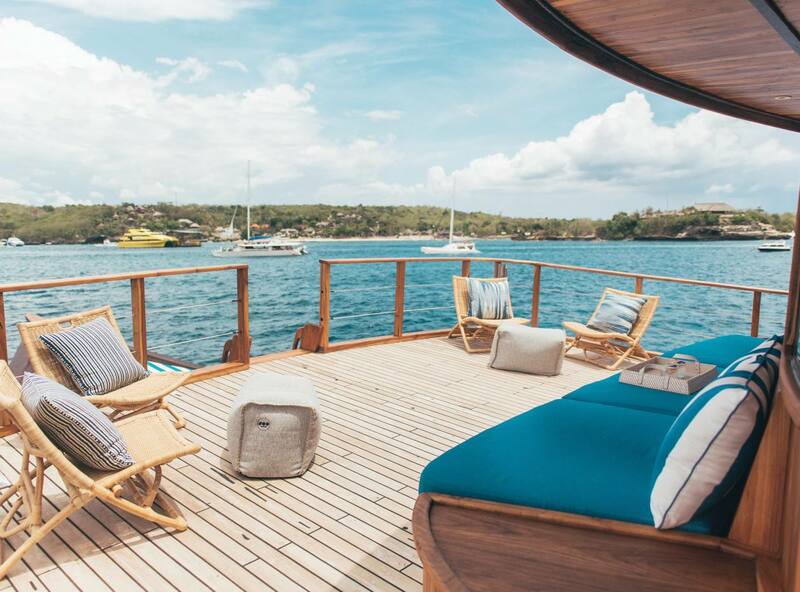 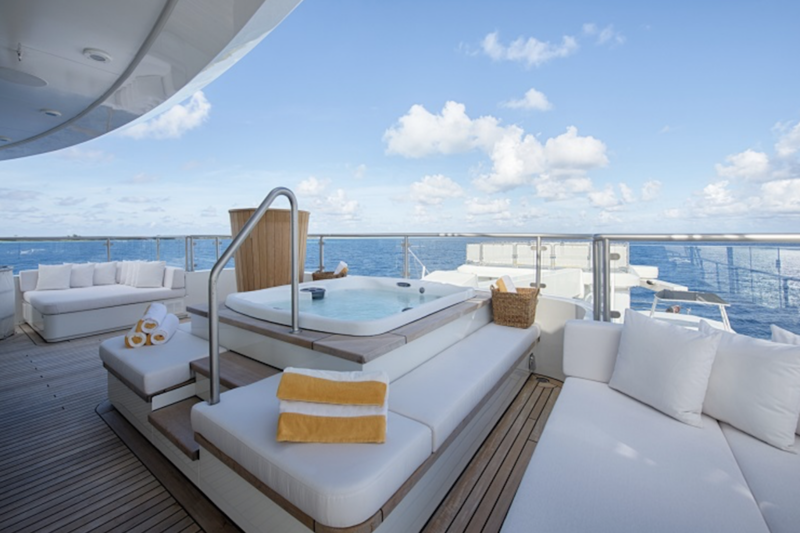 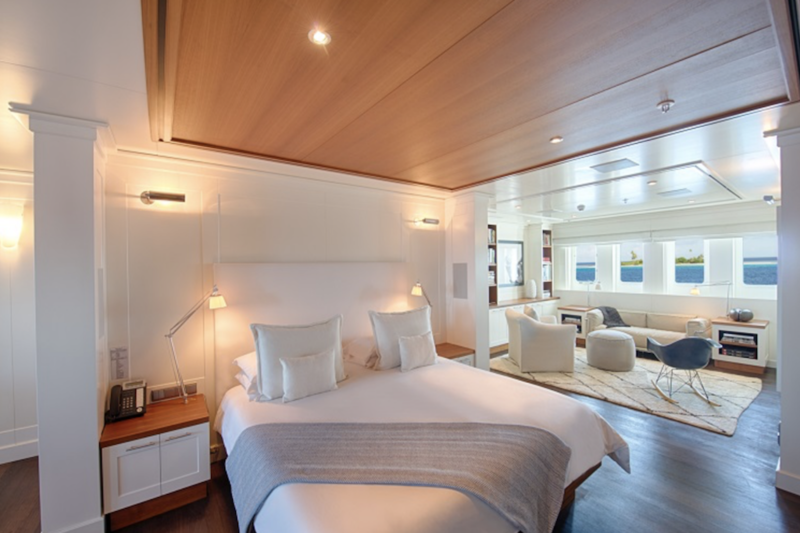 Motor yacht 'Senses' offers the following accommodation for up to 12 guests: All guest and owner's suites are located on the lower deck for optimum comfort. 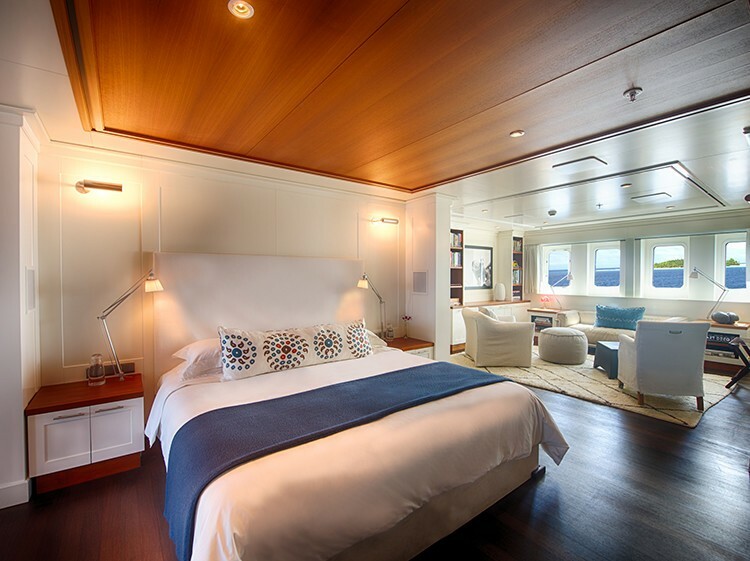 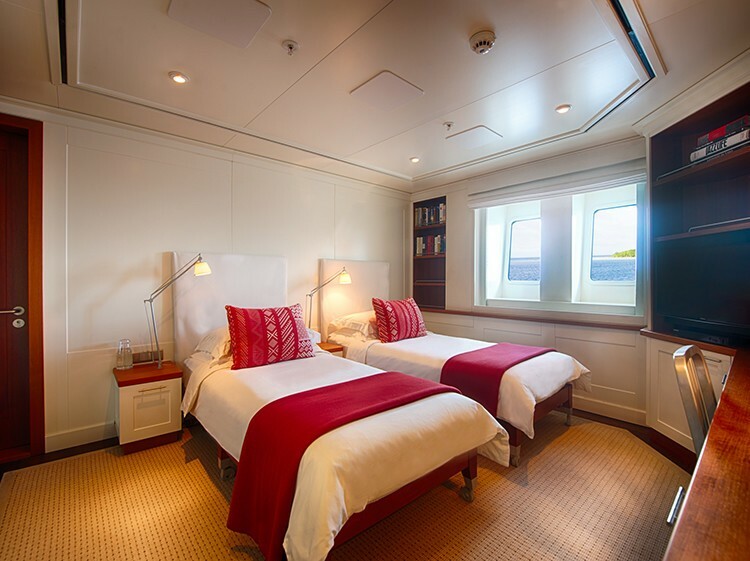 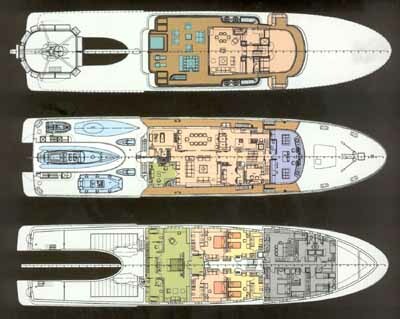 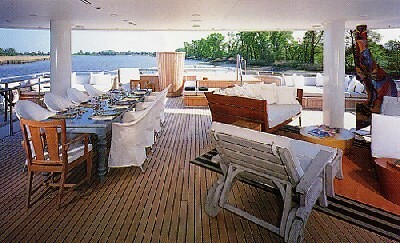 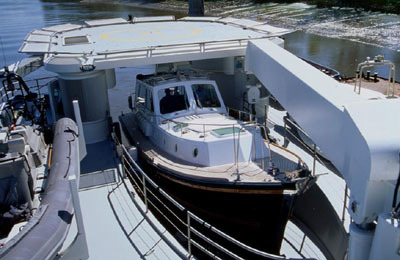 Owner's full beam suite is aft in the accommodation area and amidship. 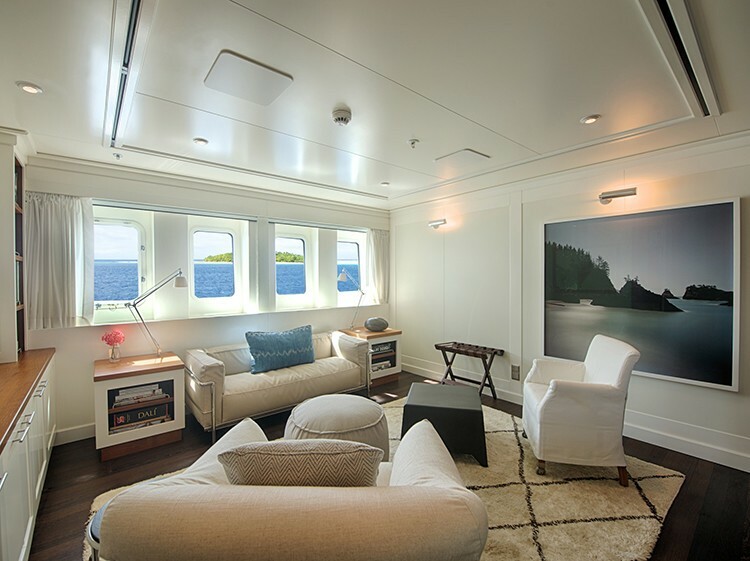 There is a double door to the Owner's lobby forward of the Owner's suite. 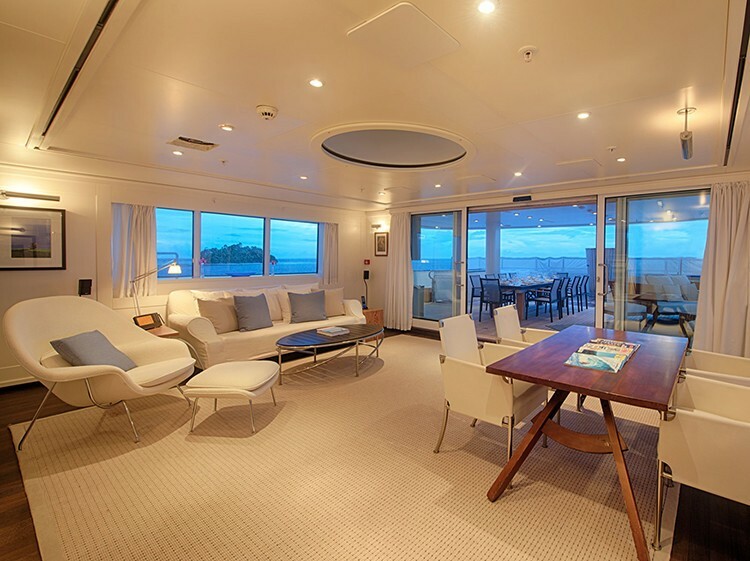 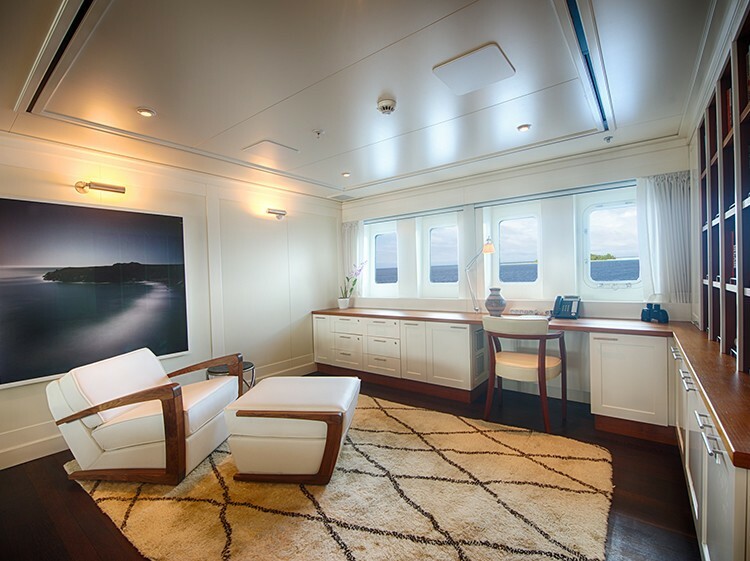 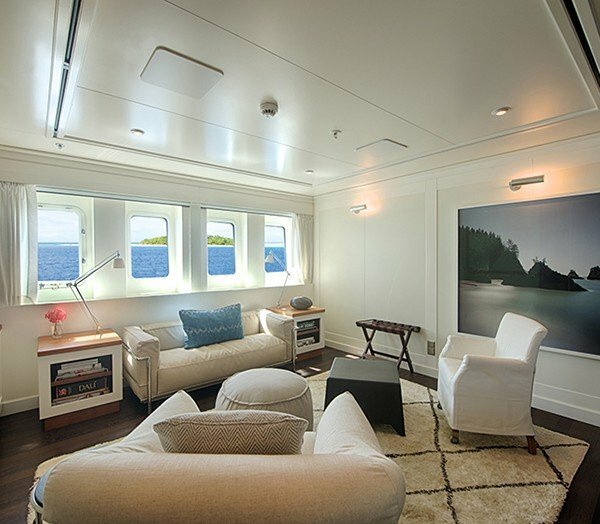 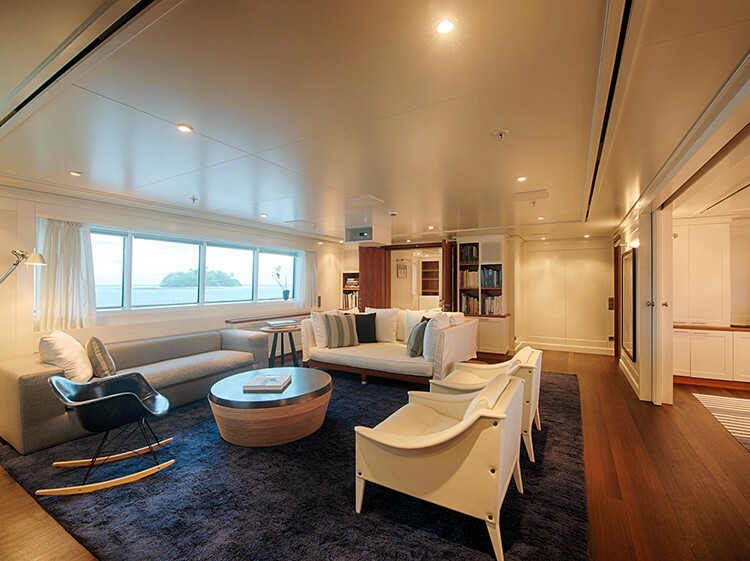 Starboard side in the Owner's suite is a sitting area and opposite to port a separate sitting and office area. 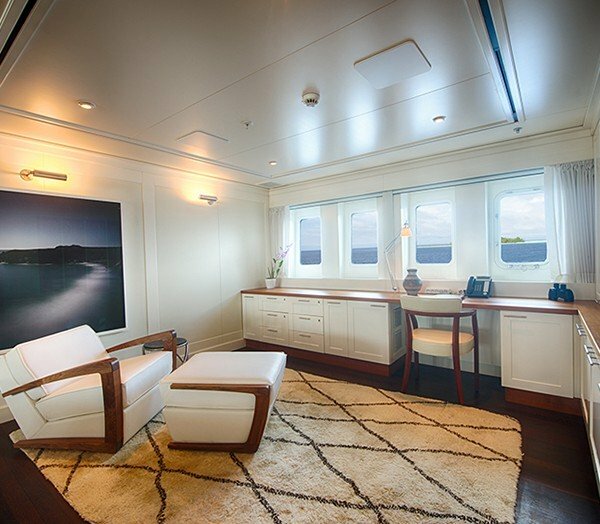 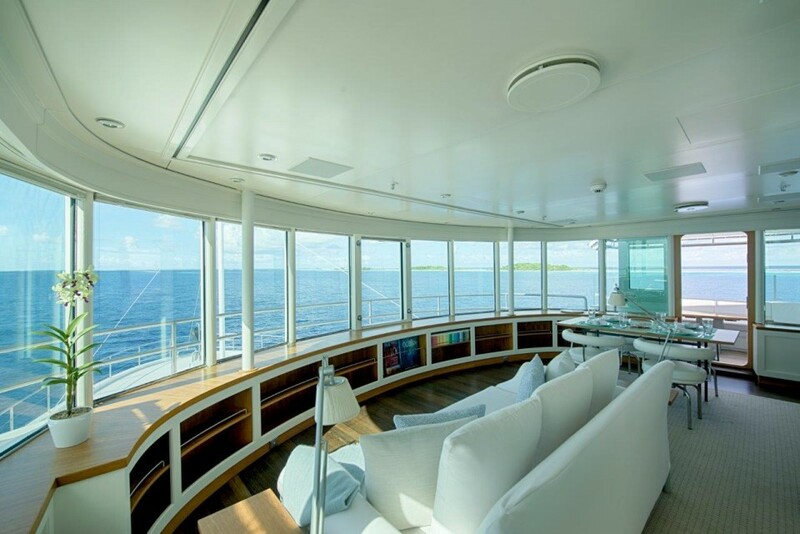 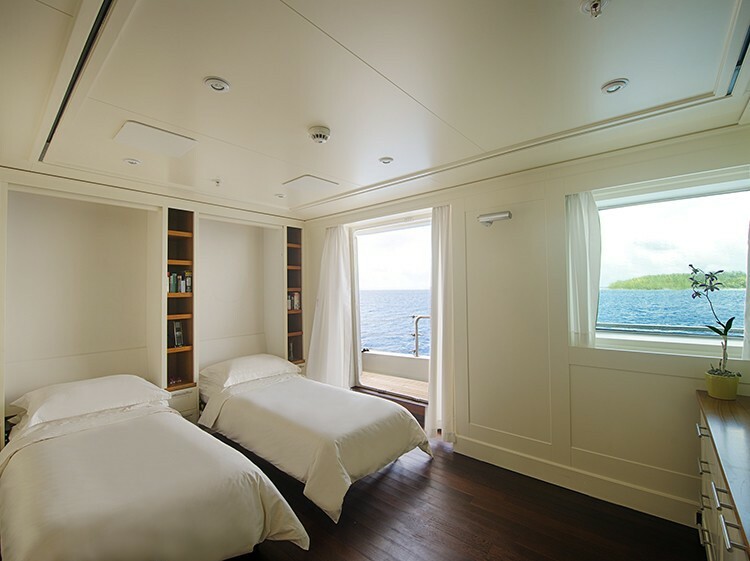 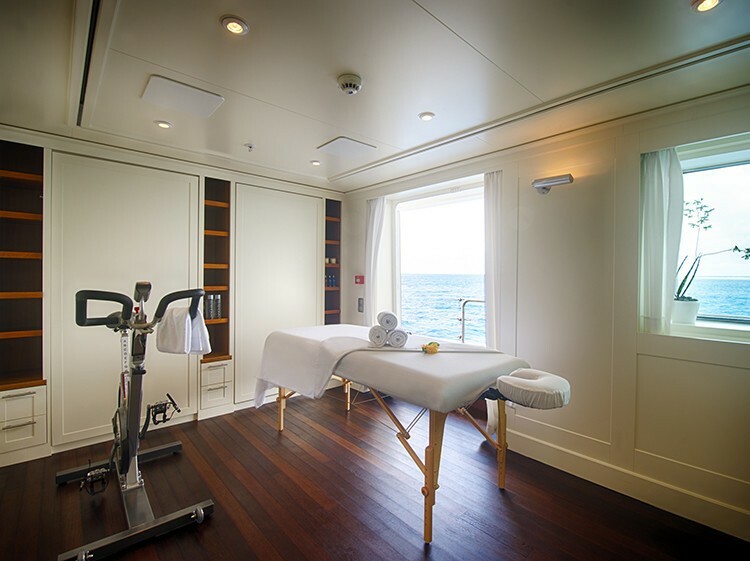 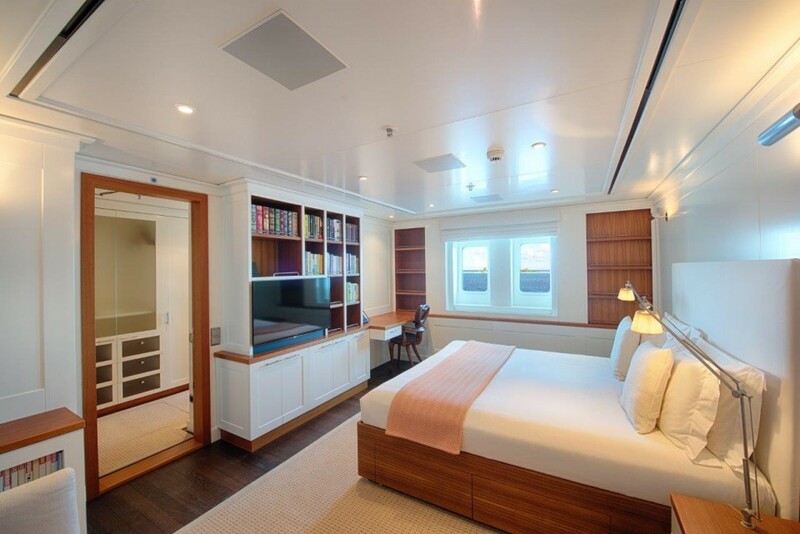 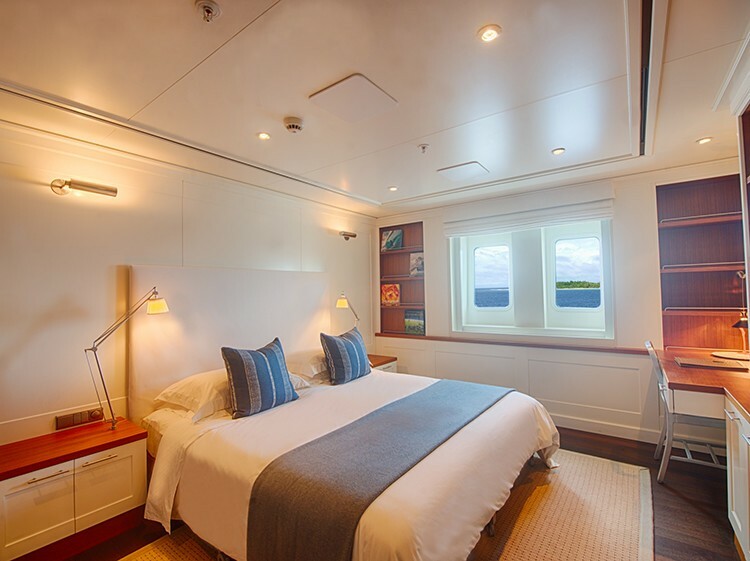 With huge opening windows the Owner's suite is extremely light and enabling wonderful views whilst underway. 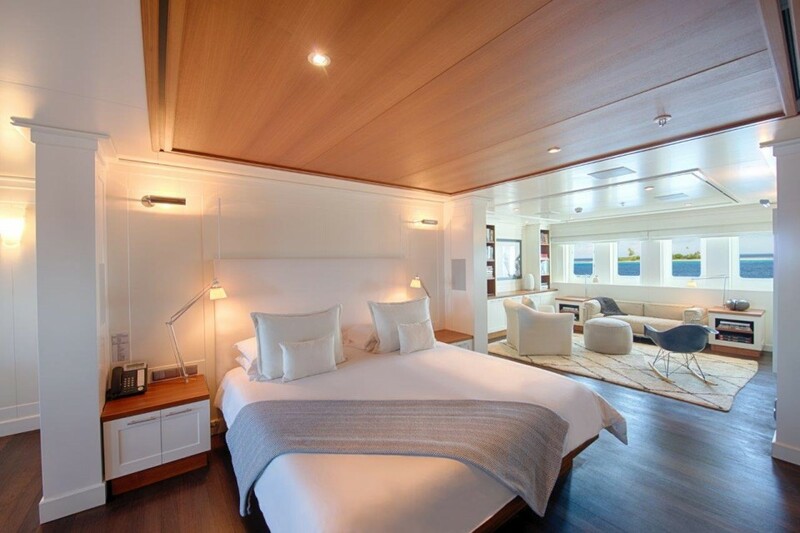 King size bed centrally located ahead of an entertainment centre on the centerline with his and hers bathrooms. 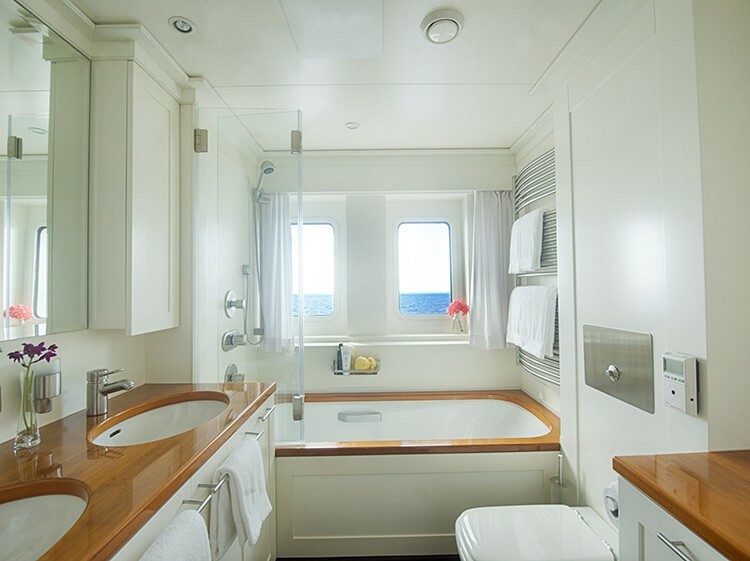 A dressing room separates one side of the bathroom to the other. 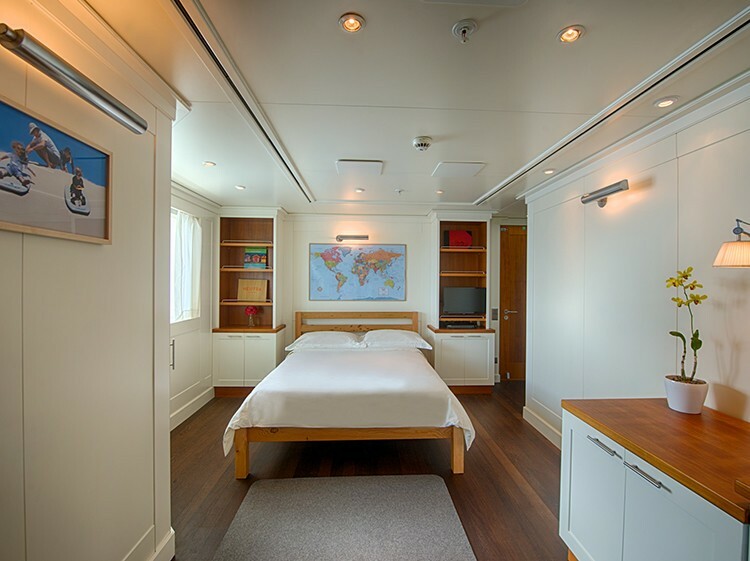 Forward: Identical twin cabins each with a desk, entertainment center and ensuite bathroom with a tub and separate shower and twin sinks. 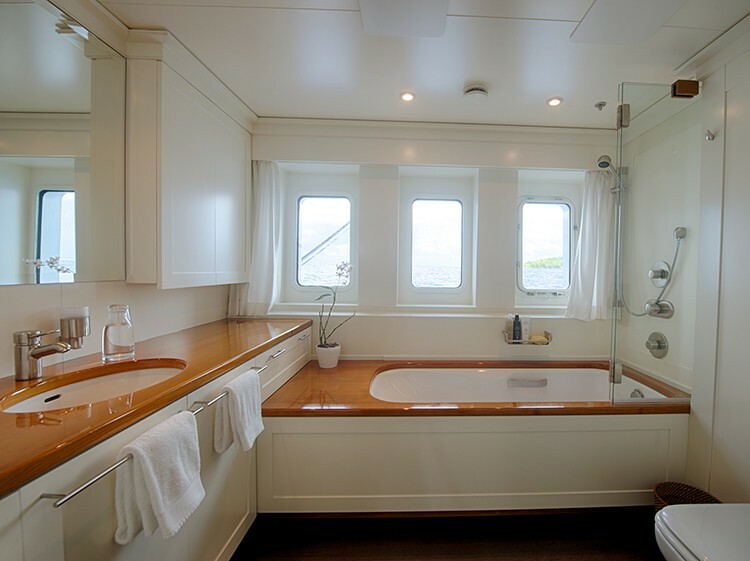 Further aft: two identical king size cabins each with a desk, entertainment centre, sofa and ensuite bathroom with a tub and twin sinks. 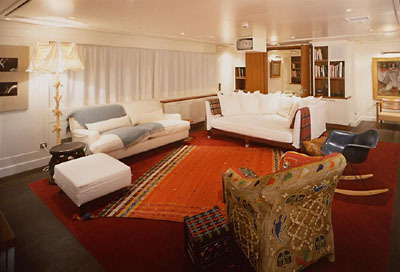 All guest cabins are equipped with TV/VCR - Stereo CD. 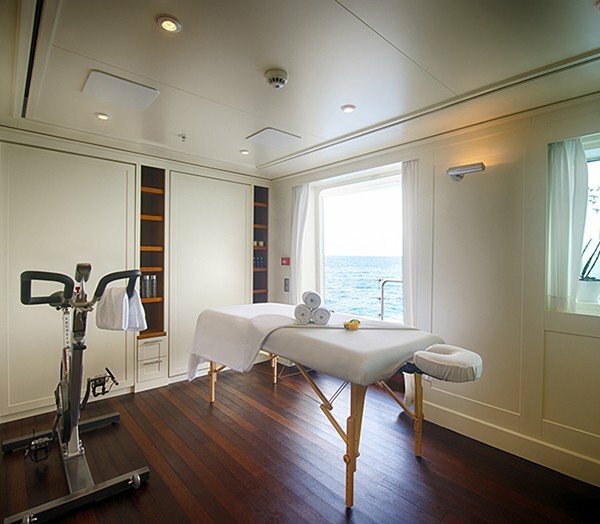 The gym can convert into additional accommodation for two guests with an ensuite bath room thus enabling 12 guests sleeping.